Barely a month goes by when we don’t hear something about children and screen time. It’s a source of endless worry for parents who are navigating a whole new world that was no where near as pervasive when they were children. A recent report by the Royal College of Paediatrics and Child Health (RCPCH) recently concluded that screens were not a single cause of ill health, but parents should ensure that screen use didn’t hamper other positive activities for children, such as exercise and socialising. In fact, screen time can have positive benefits for children, especially when it’s used constructively to complement learning and development. 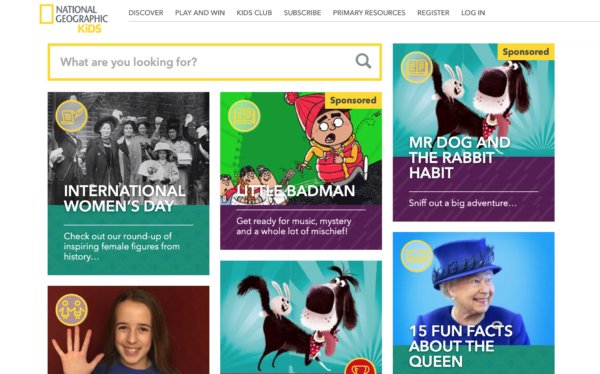 Thankfully, there is a good choice of websites that are aimed at children that offer an educational experience, and we’ve checked them out to see which are the best. BrainPOP is an American educational website and it’s one of the oldest on our list. 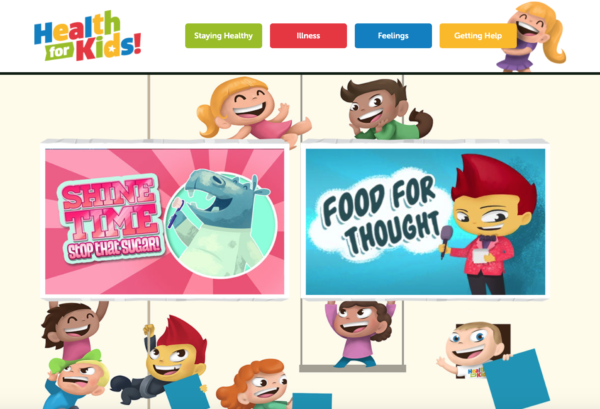 The site was originally founded in 1999 by Avraham Kadar, M.D., an immunologist and paediatrician, who wanted to create a fun way to teach his young patients about the medical issues they were facing. It’s now used in more than 20% of schools in the USA, as well as schools around the world. BrainPOP is primarily a subscription based service, but it has oodles of free content that your child can access either by the website or via a free app for mobiles and tablets. There are a number of subject areas where you will find educational videos that can then be followed up with quizzes. Subjects covered in the free area include science, maths, art, and English. BrainPOP junior has similar free content that is aimed at children aged 5-9. Along with the subject free content, BrainPOP offers a free topic of the day that also includes a video and some activities to complete. However, it is GameUp on the BrainPOP website that will probably have the biggest draw for children. It features hundreds of free to play games that all have an educational purpose. For example, your child could learn about bacteria and antibiotics via a game that has the player trying to zap bacteria faster than it can multiply, or sort words into nouns and adjectives, etc. via a card game. BrainPOP Junior has its own version of GameUp with fun phonics and maths games for younger children. 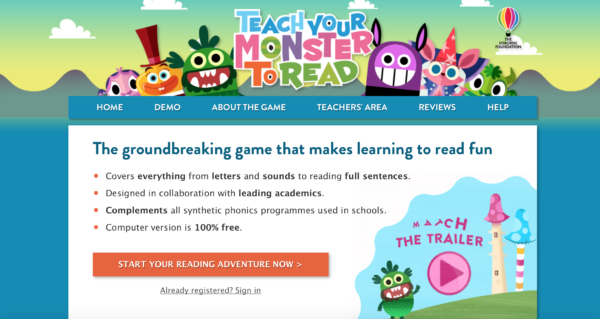 Perfect for children who are just beginning to learn to read, Teach Your Monster To Read is an award winning phonics tool that is recommended by many primary school teachers. The website has been created by the Usborne Foundation, a charitable off-shoot of the Usborne publishing company who aim to improve the education of children. The website is free to use on a computer or laptop. Alternatively, you can download an app onto Android or Apple devices for just £3.99. The website covers three stages of phonics learning. Stage 1 is for children who are just starting to learn single letter sounds and blending CVC (Consonant, Vowel, Consonant, i.e Cat) words. Stage two is for children who are learning Digraphs (two letter sounds such as “sh”) and trigraphs (three letter sounds such as “igh”), blending more complicated words, and learning “tricky” words (words that can’t be decoded because they do not have standard sounds, such as “said”). Stage three is for children who know all the basic phonics sounds and can confidently read short sentences. With all three stages, the website enables children to practice what they have learnt in school through a series of fun games. The games feature colourful characters and include virtual rewards in order to motivate the children to continue to play. Children are invited to create their own monster character to take on a reading journey. It’s ideal for children in reception and the beginning of year one. Parents in their 20s and early 30s are probably already familiar with BBC Bitesize, having used it themselves during their own time at school. Originally launched in 1998, the site started as a way of helping GCSE children revise for their exams, but it now covers primary, secondary, and post-16 education. 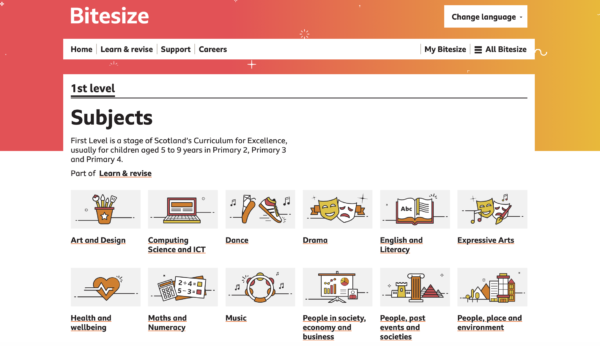 What makes BBC Bitesize particularly helpful is that it follows the national curriculum for each country in the UK so when you enter the site you will find the option to choose your country and relevant stage of education before accessing content. The primary section features clips that cover a wide range of topics, plus quizzes and games that reinforce learning. It’s not particularly user friendly for young children, so it’s something that is best used by parents with their children. However, the secondary section is an excellent resource for independent study, and pupils can create their own account and personalise it by selecting the subjects they are studying and the exam boards they are under. Almost all of the curriculum areas are covered, with video clips, diagrams and text that can be used for revision, as well as tests that can help children prepare for their exams. National Geographic Kids is a children’s magazine that boasts of millions of young readers around the world. The website is brimming with free educational content for children that is both fun and interesting. The website is split into sections. In the Discover section, there is information about animals, science, history, and geography, with fascinating facts that are enhanced with photos and videos. Children can learn about deadly dinosaurs, facts about the planets, or what life was like in ancient Egypt. In the Kids Club section, you will find book and toy reviews, as well as quizzes and interviews with children who have been doing interesting things around the world. There is also a fabulous Primary Resources section that has been designed in conjunction with the UK national curriculum with resources that teachers can use in classrooms. These resources can also be accessed for free by parents, simply by registering an account on the site. The Oxford Reading Tree is used by schools up and down the country to teach children how to read. 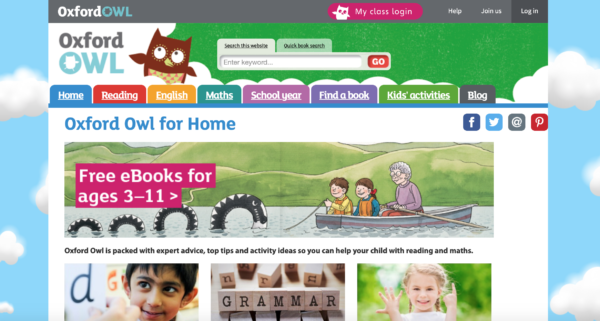 Parents with children who are learning phonics through the scheme will be very familiar with the life of Biff, Kip, and Chipper, and the Oxford Owl For Home website features the family in even more adventures. The website has a good mixture of resources for parents and children. For parents, there is lots of information about how to support your child whilst at school, with videos and information pages on various topics, including how to support reluctant readers and the terminology used in phonics teaching. For children, there are over 100 e-books available to download for free, all within the Oxford Reading Tree scheme, for children aged 3-11. In addition, there is a kid’s activities section that has games, activity sheets, videos, and more – helpfully sorted into age categories. The activities are designed to support maths and English learning in line with the national curriculum. If we want to future-proof our children’s education, then coding is an essential skill. Computing is no longer a niche employment area, as the technology has invaded almost all aspects of our lives through mobile phones, smart homes, wearable tech, autonomous vehicles and more. Having a basic understanding of coding is likely to become essential for the jobs of the future. Thankfully, schools are now introducing coding to children as young as four as part of the curriculum, and Shaun’s Game Academy can help to build on what is taught in the classroom. The website is brought to you by Aardman Animations and the Nominet Trust, and therefore features the mischievous Shaun the Sheep. The Aardman team might be best known for their Wallace and Grommit animations, but they are also in the game design business, and through this site they aim to teach children how to design and make their own games. The website uses Scratch, a free programming language that has been primarily designed for children to create their own games and animations. 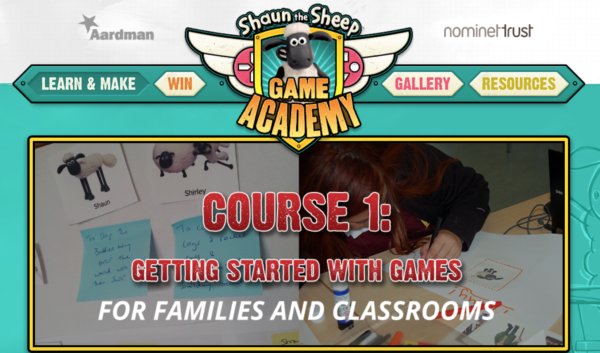 Shaun’s Game Academy has three courses. The first is aimed at children aged 5+ and will introduce children to Scratch and what factors they need to consider when making their own game, including designing characters and levels. During the second course, aimed at children aged 8+, children are invited to make their own game. The final course is aimed at children aged 10+ and builds on the previous two courses to help children design ever more complex games. The website also features a resources section for parents who want to help their children develop these skills further. Education is not only important for our brains, it’s important for our bodies too! Knowing what we need to do to maintain a healthy lifestyle is vital for keeping ourselves fit and well, both mentally and physically. Health For Kids is an NHS website that has been created by Leicestershire Partnership Trust to promote healthy living in young people. The trust worked with young people to create the website and as a result topics are presented in a child-friendly way. Various topics are covered under four sub-headings: Staying Healthy, Illness, Feelings, and Getting Help. There’s information on common childhood ailments, such as asthma and bowel complaints, plus games to play to help children understand what is happening in their bodies. 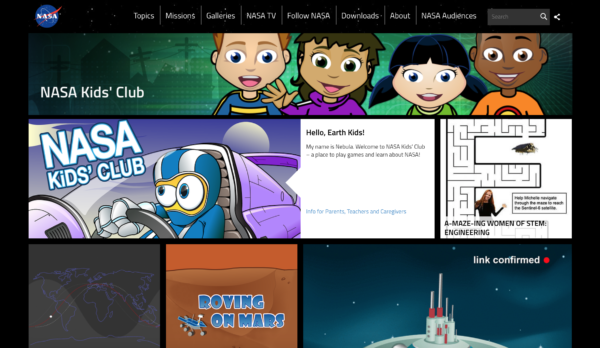 NASA Kids Club is a website where children can learn all about space, and specifically, the work of NASA. The site features facts about NASA, videos, downloadable worksheets and colouring pages, and lots of space themed games. The site is updated regularly with new content, and many of the games have an educational focus, encouraging children to solve problems. Other topics covered by the site include weather and global warming. There are also ideas for craft activities that you can do at home. Many of the information topics link to NASA Space Place, another NASA site aimed at children that is packed with facts about earth and space, and is an ideal resource for researching information when children are studying space at school. Pregnant With A Toddler In Tow? Top Tips For Surviving The Next Nine Months.